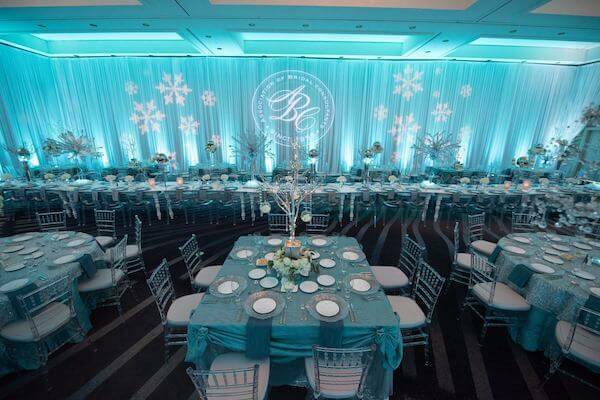 This past week our Special Moments Event Planning team spent a few days at the beautiful Hyatt Regency Tampa Bay with a few hundred of our wedding planning colleagues from across the globe. 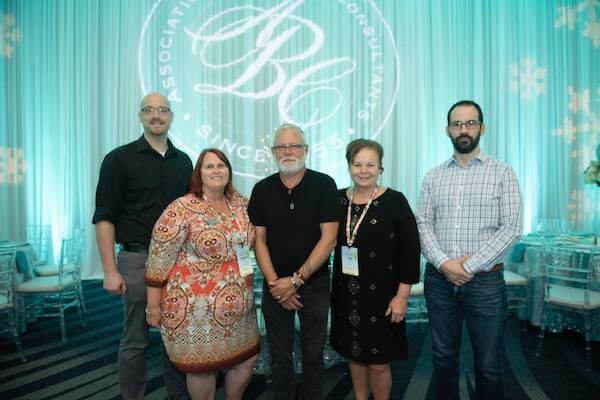 This year’s Association of Bridal Consultants World of Weddings Annual Conference was in our hometown! 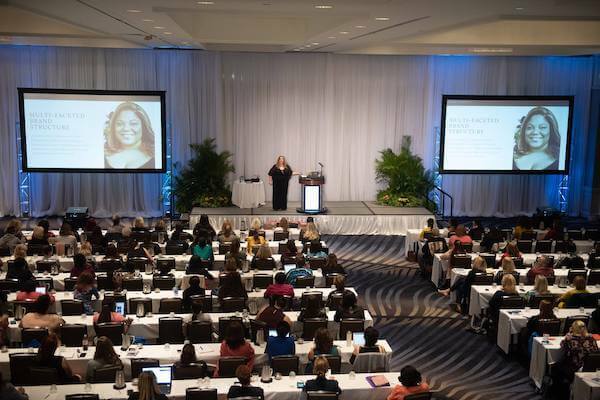 The focus of the conference is always about continuing education and there were amazing presenters, great networking opportunities, and local Tampa Bay wedding professionals were able to showcase their amazing work to the world. 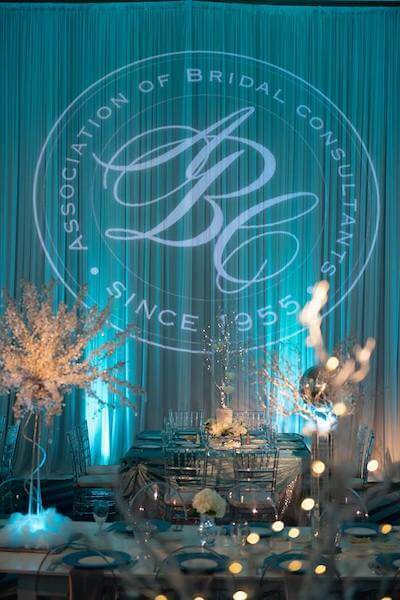 We could not be more proud of our own Melissa Toohey who worked day and night to make sure the event designs came together. 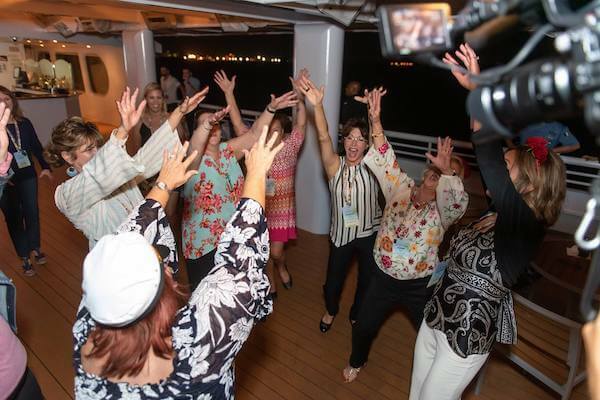 After setting up the opening “Havana Nights” reception, Tammy welcomed old friends and new members to the Tampa area. Tammy also got a little time to “Flamingle” at the opening breakfast. 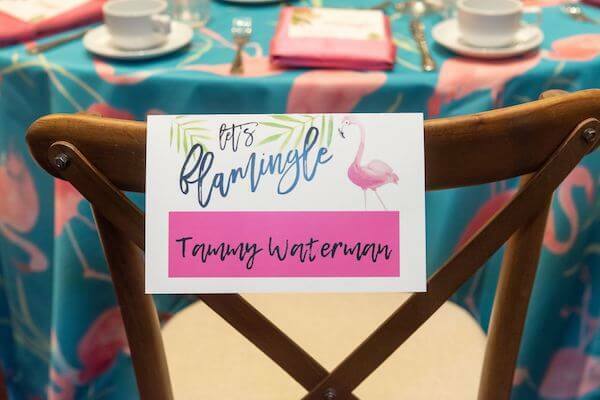 This awesome flamingo themed breakfast was an opportunity for newer members to network and ask questions of the Master Wedding Planners who were in attendance. 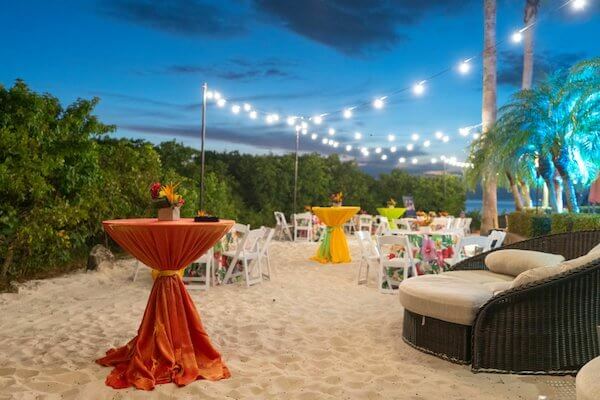 As one of only 57 active Master Wedding Planners in the world, Tammy hosted a table and had a great time. 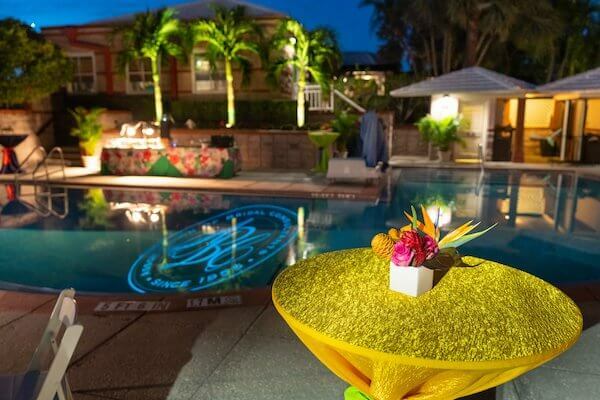 How cute are these pink flamingo and pineapple centerpieces created by our partners at Gabro Event Services? 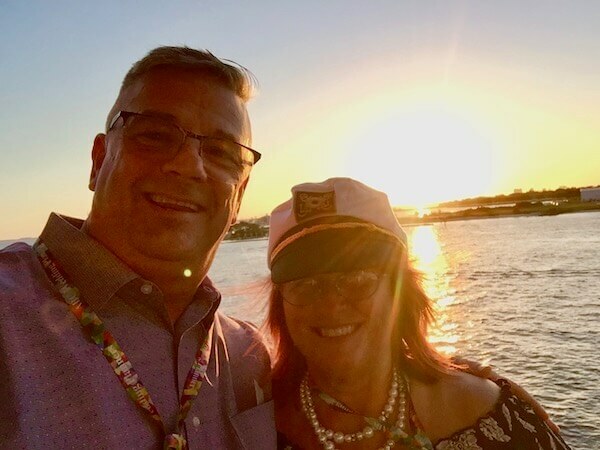 The offsite event was on the Yacht Starship where planners were able to enjoy the beautiful Florida sunset, wonderful food and drinks, a great DJ and the Tampa skyline. 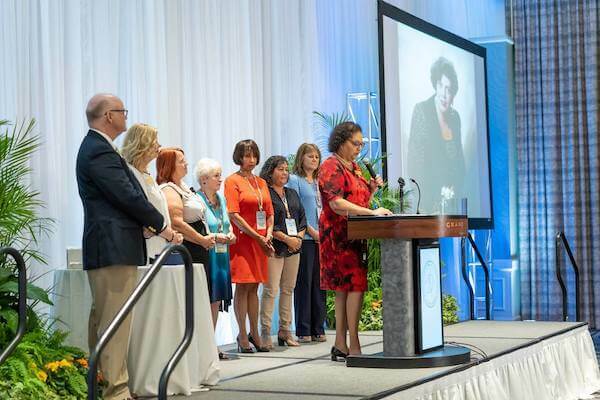 One of the most touching moments of the conference was when Tammy took the stage with all of the other previous winners of the “Miss Dorothy Heart Award” for passion in the wedding industry. 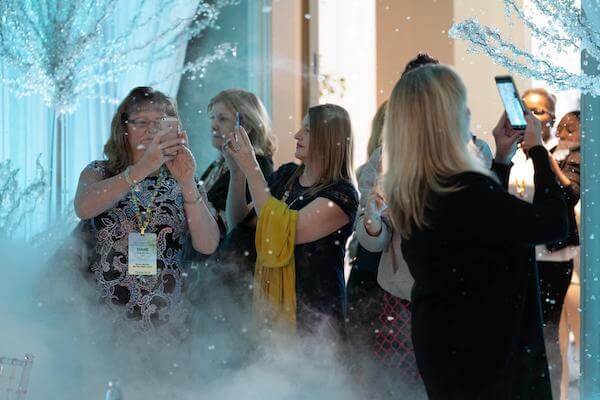 One of our favorite moments was the WOW luncheon on the last day of the conference. 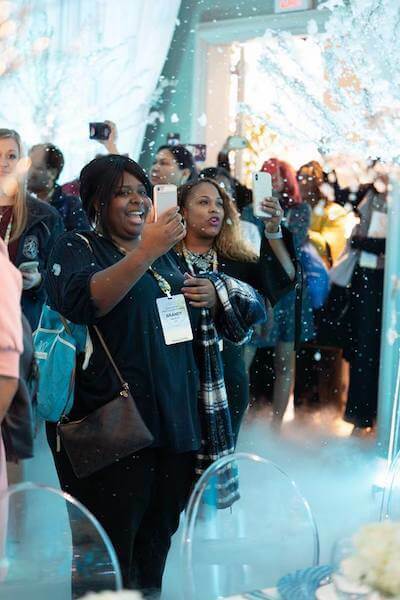 What is more WOW than to make it snow in Tampa? 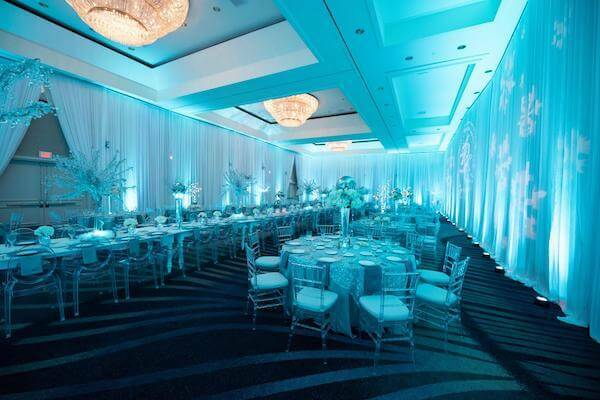 Tammy and her amazing team created an icy blue ballroom with clear Lucite chairs, crystal trees, shimmering lighting, and many frosty details. 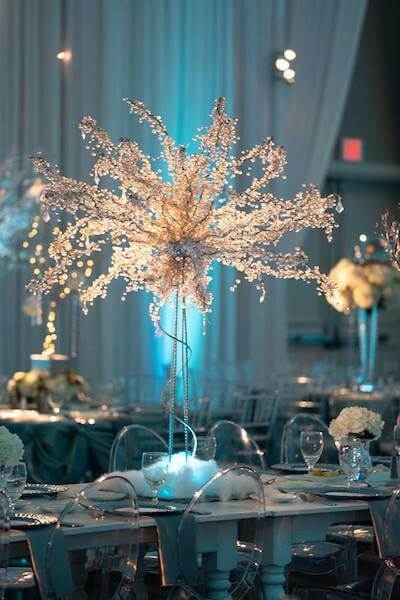 This was totally unexpected for wedding planners who have been enjoying our beautiful weather. 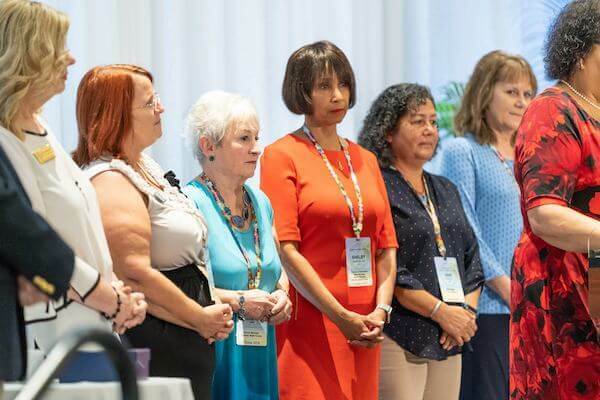 Thank you to Andy Martin for sharing all of his awesome images of the conference and to the dozens of incredible Tampa Bay wedding professionals who gave their time and talent for this year’s conference. We truly work with some AWESOME people!